Occupational hearing loss can be devastating, but unfortunately it is far too common. Some workers are much more vulnerable to suffering the effects of occupational hearing loss than employees in other industries are. Employers and employees must be aware of the risks and take steps to try to mitigate the damage that noise exposure can cause to a person's hearing. When occupational hearing loss occurs, victims need to understand what their legal options are. An Atlanta workers' compensation lawyer can provide representation and assistance to workers so they can try to get full workers' comp benefits after suffering hearing loss as a result of their job duties. Safety News Alert recently published an article highlighting the workers who were must vulnerable to exposure to noise pollution at work that could cause hearing loss. The article is based on a study conducted by Centers for Disease Control and Prevention (CDC). CDC compared the prevalence of hearing loss among 1.4 million different workers in nine different sectors of the United States economy. The comparison was done by looking at audiograms from the workers and the research was limited to employees who had been exposed to high noise levels between 2003 and 2013. High noise levels were defined as being at least 85 decibels or greater on the A-scale. The research revealed that the sector with the highest prevalence of work-related hearing loss was the mining sector. 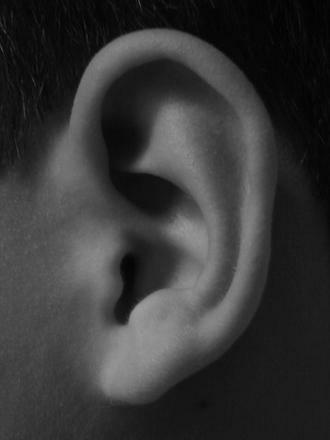 In total, CDC found that 17 percent of mining workers had sustained hearing loss. Construction was also a field with a high prevalence of hearing loss, with 16 percent of workers experiencing damage to hearing. Manufacturing workers had 14 percent hearing loss, while the public safety sector (including EMTs, corrections officers, police, and firefighters) experienced around seven percent hearing loss rates. There were also certain specialized fields within manufacturing with higher levels of hearing loss. For example, those who manufacture apparel, machinery, or wood products had hearing loss rates on par with those in the mining industry. Understanding the rates of workplace hearing loss is very important because hearing loss is the third most common chronic physical condition within the United States. Hearing loss is more common than either cancer or diabetes. Work-related hearing loss is also the most common of the work-related illnesses suffered by employees throughout the United States. This should come as no surprise when more than 22 million workers within the United States are exposed to hazardous levels of noise while on-the-job. While males have a higher rate of workplace hearing loss than females, and while people in these high-risk sectors face a bigger danger of deafness, hearing loss can happen to anyone exposed to noise at work. If you are suffering from the effects of noise exposure and your hearing has been affected, it is important to speak with an experienced attorney to find out about your options for receiving workers' compensation benefits.